Police walk in front of Deutsche Bank headquarters in Frankfurt, Germany, November 29, 2018 over money-laundering allegations. 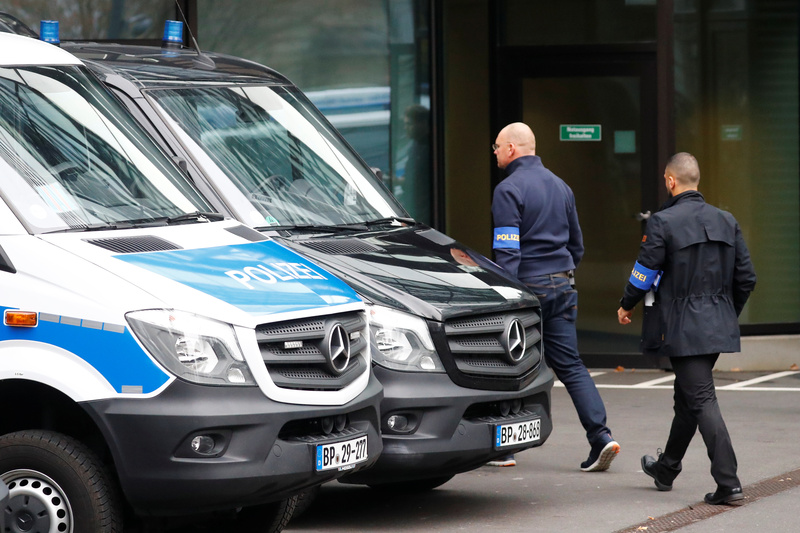 Police raided six Deutsche Bank offices in and around Frankfurt on Thursday over money-laundering allegations linked to the “Panama Papers”, according to a Reuters report on Nov. 29 citing the local public prosecutor’s office. “Of course, we will cooperate closely with the public prosecutor’s office in Frankfurt, as it is in our interest as well to clarify the facts,” Deutsche Bank said, adding it believed it had already provided all the relevant information related to the Panama Papers. Separately, the Financial Times reported on Nov. 29 that Garth Ritchie, the head of Deutsche’s corporate and investment bank, faced “rising doubts over his future”, citing two people close to the bank’s supervisory board. In September the supervisory board, headed by chairman Paul Achleitner, extended Ritchie’s contract for five years. Deutsche Bank shares were down 2.5 percent to 8.38 euros at 1502 GMT on Nov. 29.